What’s great about water bottles is that you don’t need to bring an extra glass outdoors before you can quench your thirst. You can bring it anywhere, and it’s not tricky to refill. However, what is not so great about them is the fact that you have to carry them in your hands. When you put a cold bottle in your bag, the condensation may soak through and ruin your stuff. Hence, it will play at your advantage if you get this promotional bottle bag from SM. Extra Deals. There are certain products you need to acquire before the gift with purchase can be availed. because it is obvious that the buyers will find more benefits from getting the bottle bag, they will make their purchases. Greater Loyalty from Consumers. 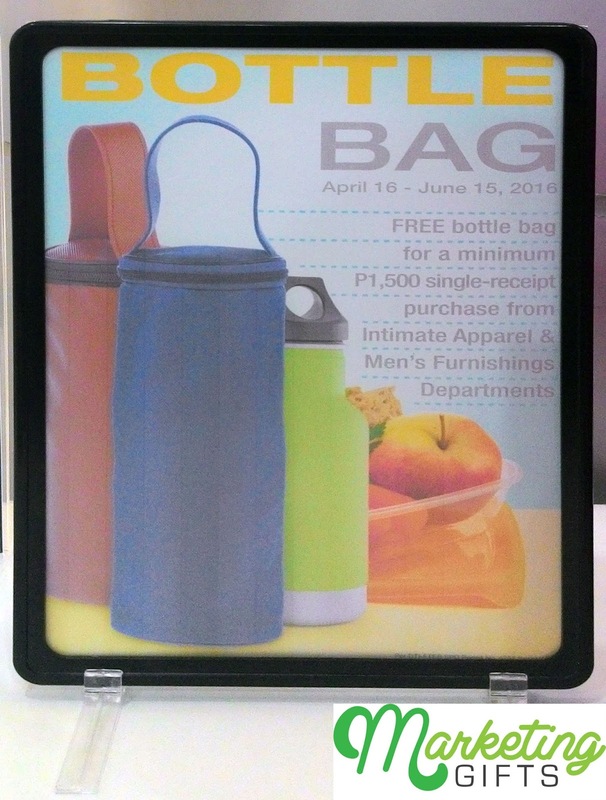 Having this promo gift will keep your water from getting warm even when you are under the sun. This is highly useful especially if you are always on the road, and you have no time to stop by a convenience store to get ice-cold beverage. Enhanced Merchandise Awareness. The mall that gives the free bottle bag is a household name, but some of their products are not. 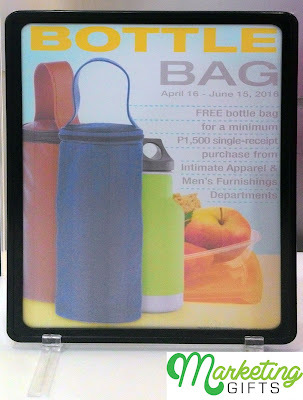 Therefore, regardless if it is not an on-pack promotion, it can efficiently promote them to potential customers. Be more creative at how you market your business with the advertising ideas you can get from the Marketing Gifts blog.